Click here if you like this necklace! 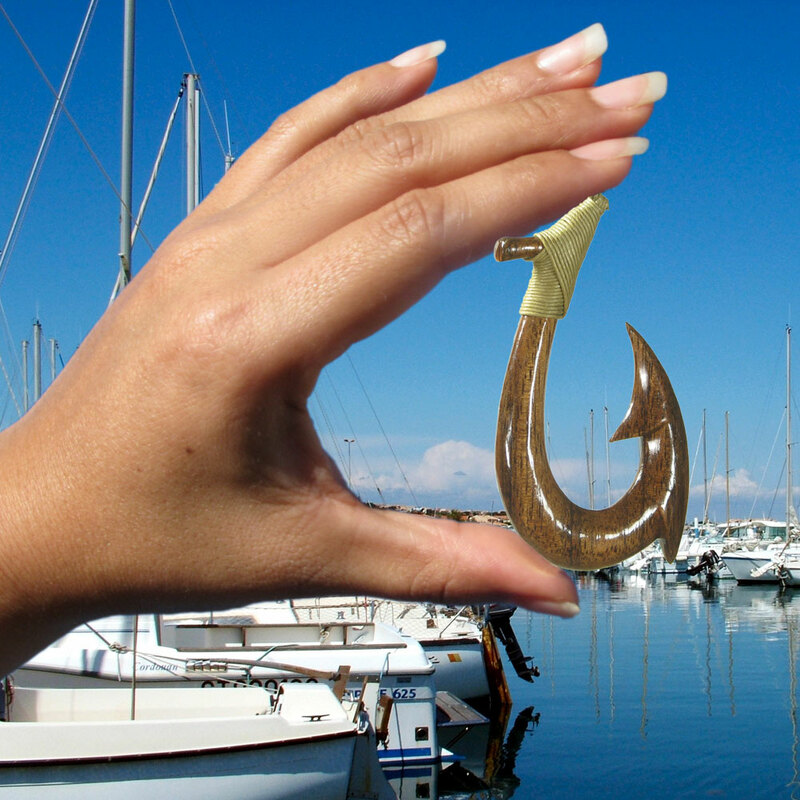 The ancient Hawaiians used hardwood to make fish hooks. 'Koa La'au' means "Koa Wood" in Hawaiian. Koa is a rare, tropical hardwood generally found at elevations of 2,000 plus feet on the upper slopes of the islands of Hawaii (The Big Island) and Maui. It reaches heights of 100 feet or more with trunk area diameters as large as five feet. Today a protected species in Hawaii, this one of a kind, native wood is prized for it's beautiful array of color and lustrous grain. Each pendant, front and back, is hand carved, rounded, detailed, and polished. 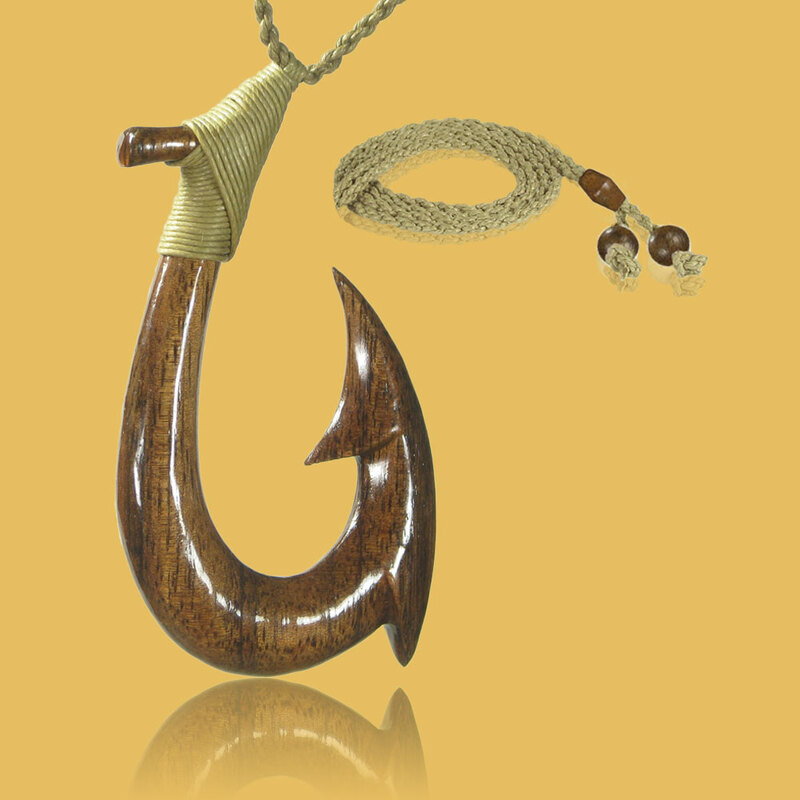 The koa hook comes on 1-size fits all adjustable waterproof beige cotton hand woven cord. 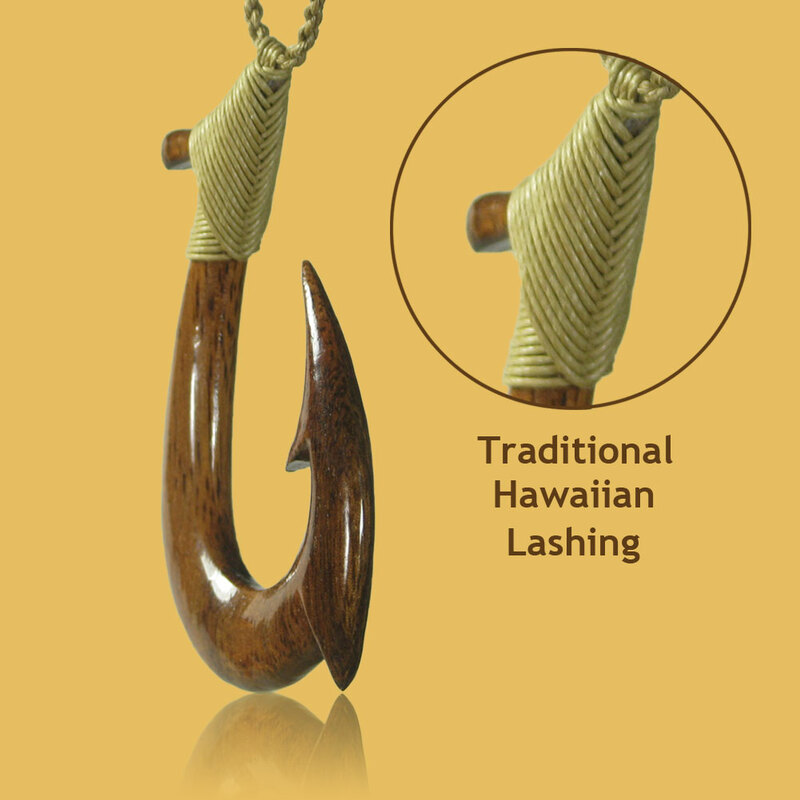 The hook is attached to the cord using traditional Hawaiian lashing. © 2019 KanaKala Pacific Trade. All rights reserved.